This charming oval picture frame is wonderfully well-suited to display a cherished image. It features your choice of lovely art, drawn from some of Anuschka's classic designs. Patchwork Pewter - Floral-inspired patchwork design in shades of grey, black and white with silver-tone accents throughout. Romantic Rose - Background is shades of light lilac purple, creamy yellow and soft brown. Large scarlet red rose motif, green leaves, metallic gold-tone and black accents. In the early 1980s, Swapan Basu and wife Roma began a hand painted accessories business. Swapan focused on creating a special painting process for handbags, and Roma designed each of the paintings for the bags. Their son, Bhaskar became involved in the family business after college, and founded Basu Corporation in 2000. Utilizing the closely guarded painting technique, the first Anuschka® handbag was sold in September of 2000, and the company has continued to grow the business by focusing on handbags that blend art and function. Today the company has 30 artists, with styles sold around the globe. The artwork is designed, and then translated one article at a time by expert craftsmen, creating one-of-a-kind works of art in every handbag. Over time, the family expanded their designs to include bedding and more. The art on each of Anuschka piece is a feast for the eyes. The colors are a powerful element in each design, plus the wide range of abstracts, imaginary, and natural scenes depicted in muted colors of all shades and hues, transforms each style into an object of timeless art. Anuschka is perfect for one who appreciates art, enjoys high quality and seeks to incorporate beauty with function. Son of Swapan and Roma Basu, Bhaskar grew up watching his parents working hard to build their business in India. He spent summers working with them, watching his mother design and train artists, and watching his father select the leather and coordinate the process flow. 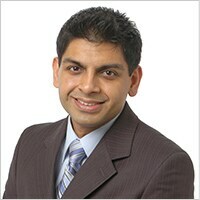 Bhaskar chose to go to college at an American university, where he received a degree in Business Administration. In 2000, he founded the Basu Corporation with his parents. As the business grew, Bhaskar got more involved in trend research and design. Today, Roma and Bhaskar work as a team and have succeeded in bringing original designs, capturing the fashion of the season as well as the lifestyle of the people who wear Anuschka® bags.